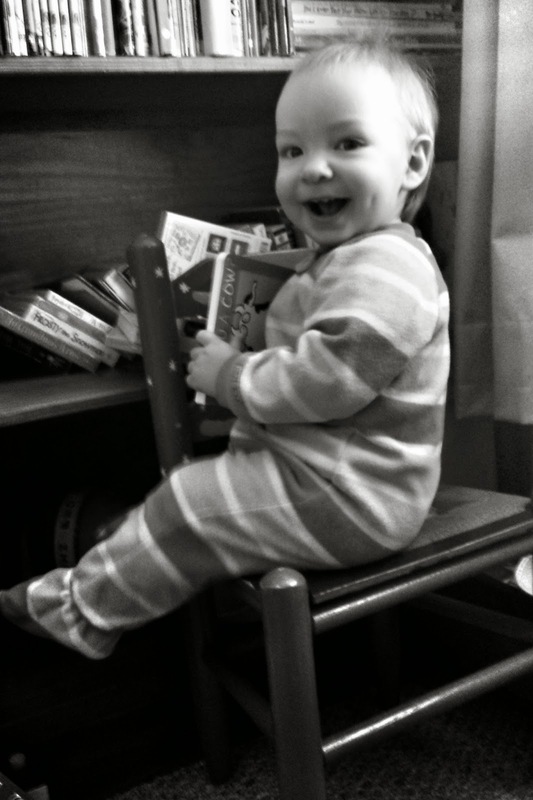 Little-big baby boy will be 10 months old tomorrow!! 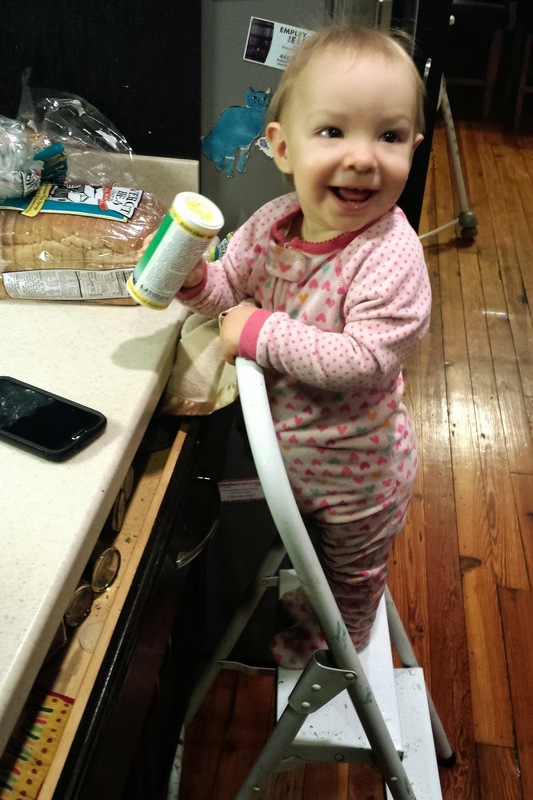 He stands on his own for a few seconds at a time, climbs the kitchen ladder, insists on getting down from high-up places face first superman style (in spite of my suggestions that he go feet first), and eats far more than his sister. He is still incredibly happy and smiley, but he's also developing a temper and displaying it by throwing himself into a back bend and straightening his arms so that it's impossible to hold him. It's pretty funny. My favorite thing he does is this funny semi-swim type thing in the bathtub. He lays on his belly and scootches back and forth and pumps up and down and laughs hysterically. It's so funny looking that no matter how often he does it, we laugh with him. His growth has started to slow down a bit. At his 9-month checkup a couple weeks ago he weighed 21 pounds 11 ounces which brings him down to the 77th percentile for weight. He's still in the 98th percentile for length at 30 1/2 inches, which means that, like his sister, he's becoming a bean pole--tall and thin. 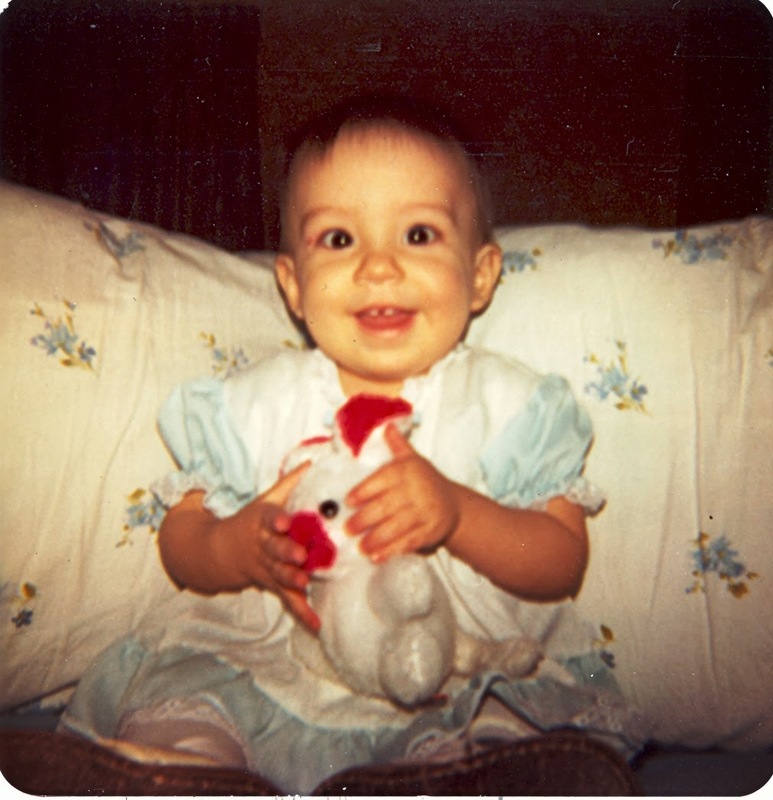 I can't find any pictures of Eric from when he was 10 months, but here's one of me. He's got his momma's gapped teeth. 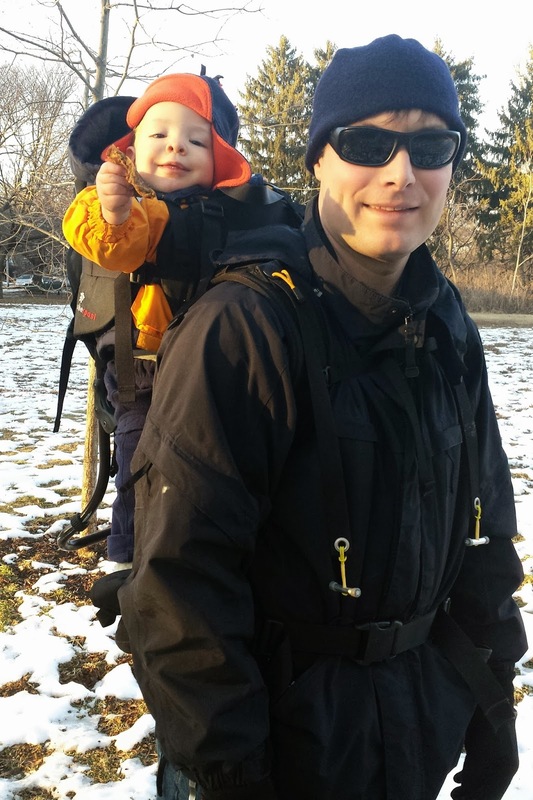 In lieu of an Eric baby pic, here's one of the boys trekking around on this balmy 40-degree day. It's crazy how all it takes is a few weeks of of 12-degree temperatures to make you love and appreciate 40 is beautiful.